Milestone 75th Showcase – Lindsey Boullt’s Musician’s Showcase. Saturday, December 6, 2008 at the 23 Club in Brisbane/SF. In its 14th year featured headliner bands like Punchface, Heavy Rubber, and Picture Me Broken featuring Layla Brooklyn Allman (yes, Gregg Allman’s daughter). This year’s show was almost hosted by “Safety Chick” Kathleen Baty who had to fly to NYC for the Heisman Trophy ceremonies…(true story), we love her anyway. 8hr nonstop bash. “The Lindsey Boullt Trio” was invited to perform at LA’s historic jazz-fusion venue, The Baked Potato. Diz Dismore – dr. and Jason Muscat – bs. Before the gig, and due to my nervous energy, Chuck let me practice in the famed woodshed that they have out back. It was a fun time. Thanks to Alex Machacek, Justin Randi and everyone at The Baked Potato! “Adopted the Movie” is released! Lindsey Boullt – composer. promo – “Adopted reveals the grit rather than the glamour of transracial adoption. The trailor for ‘Adopted’ was a finalist in the Tribeca All Access Film Festival 2007. A truly enriching opportunity. Incredible thanks to Barb Lee and all at PointMade Productions NYC. 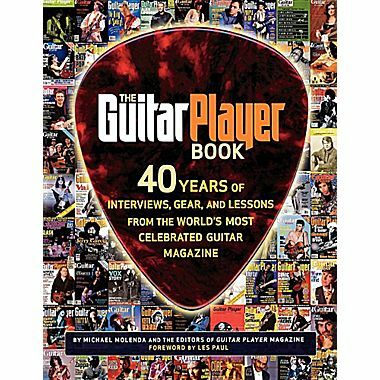 has released its historic book Guitar Player Book : 40 Years Of Interviews, Gear, And Lessons From The Worlds Most Celebrated Guitar Magazine (Mike Molenda/Les Paul), and my article “How To Play Like Allan Holdsworth”, published in the June 2004 issue, is included. What a great thrill! This book is a best-of collection from the magazine’s four-decade history. 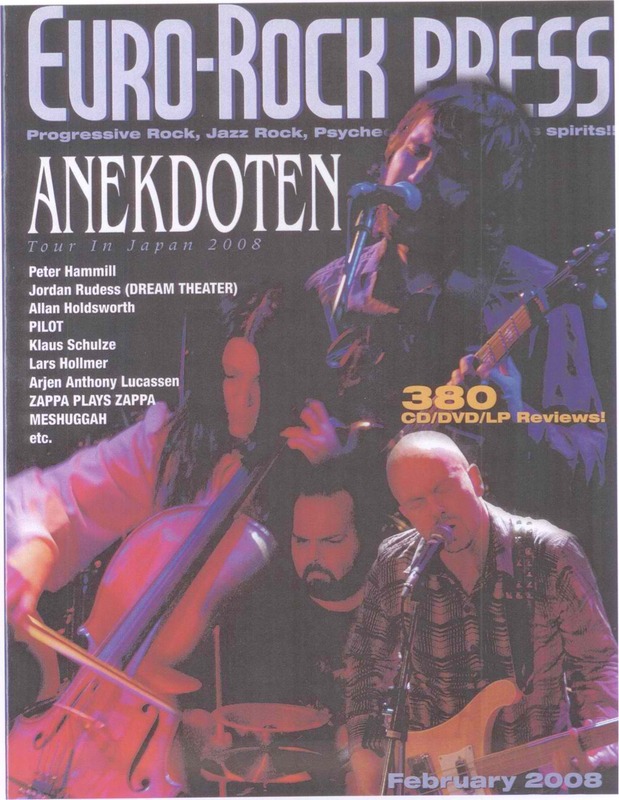 The esteemed Progressive Rock, Jazz-Rock magazine Euro-Rock Press has just released its latest edition including an interview with Lindsey Boullt, Allan Holdsworth, Jordan Rudess, Meshuggah and more…Thanks to all at Euro-Rock Press, Nobuhisa Nakanishi and all at Marquee, Inc./Japan. On stands now! Odd-Time Obsessed Radio/Hollywood conducted an in-depth interview with Lindsey Boullt (me again) recently. Insights into the early story, creativity and recording procedures and a mind run amok are covered! Thanks to CountessB and all at Odd Time Obsessed. Check out the interview and this very creative radio station, DJ & Blog. 4 new radio stations have begun playing the album: RoughEdgeRadio.com-US, Flight of Pegasus, Greece and RockAces Radio, Greece, and ProgCafe-Norway. Below is the current list of stations helping the cause; please tune in to their broadcasts. Since the release of my CD “Composition” in June 2007, I’ve had the pleasure and great opportunity to score the film “Adopted: The New American Family”. The film is a being created by Point Made Productions/NYC and is near its release date. Very exciting!!! Many thanks to Barb Lee – Director & Everyone at Point Made Productions. Walter Kolosky – Author of ‘Power, Passion and Beauty: The Story of the Legendary Mahavishnu Orchestra’ – (notably under ‘Musicians Speak’). An incredible honor to be included in THIS group of visionary musicians! Just For Kicks Music/Germany is distributing ‘Composition’ to its European market & beyond. Pink Floyd, RadioHead, Gov’t Mule & Porcupine Tree are just some of the artists that they handle. Thanks to all at ‘Just For Kicks Music/Germany’ & Nicole Vath. Marquee, Inc./Japan has agreed to distribute ‘Composition’ internationally. Some of the artists that Marquee, Inc handles are: John McLaughlin and The 4th Dimension, Steve Morse, Chris Squire, Jordan Rudess, Gary Willis, Alex Machacek & more! Thanks to Nakanishi Nobuhisa & all at Marquee, Inc. for this wonderful business opportunity.